To provide modern services, government agencies need to become adept at building and delivering new capabilities with speed and in ways that increase efficiency and save money. This includes modernizing mission-critical legacy applications. One way to overcome these challenges is through application modernization, the process of updating legacy applications with modern IT practices to deliver on current business and mission needs. Successful application modernization efforts deliver a foundation for continuous on-going application transformation and avoids stumbling from old legacy to new legacy. 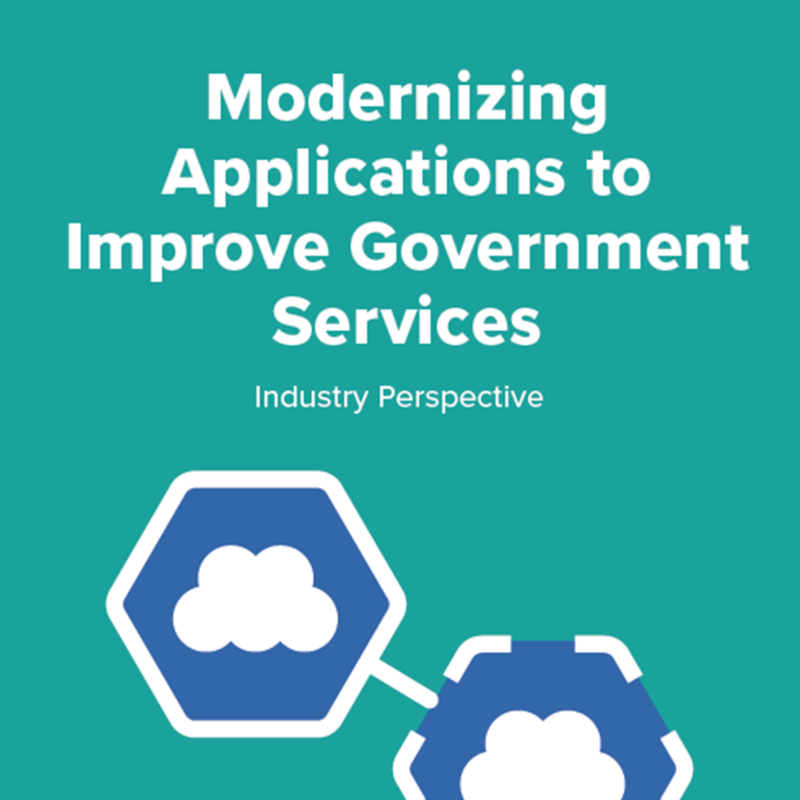 To help agencies successfully modernize their applications with hybrid cloud approaches, GovLoop partnered with IBM for this report. In it, we explore the challenges and benefits agencies face as they modernize their applications. We also hear insights from IBM leaders, including Periasamy Girirajan, Executive IT Architect, Cloud Solutions; Elliott Aten, Director, State and Local Government; and Vikram Gulati, Product Manager, Application Modernization.